Karl Anderson & Luke Gallows have been the subject of rumors regarding their pending free agency. Earlier this month, it was reported that Karl Anderson and Luke Gallows had turned down multi-million dollar contract offers from WWE. The tag-team’s deals with the promotion expire this September. According to a recent report from the Wrestling Observer Newsletter, the team is still undecided on what they’ll do when their contracts are up this fall. Some WWE talent is waiting to see what the free agency landscape is like closer to when their current deals expire. It appears Anderson and Gallows fall into this category. Anderson & Gallows were recently interviewed by journalist Chris Van Vliet. 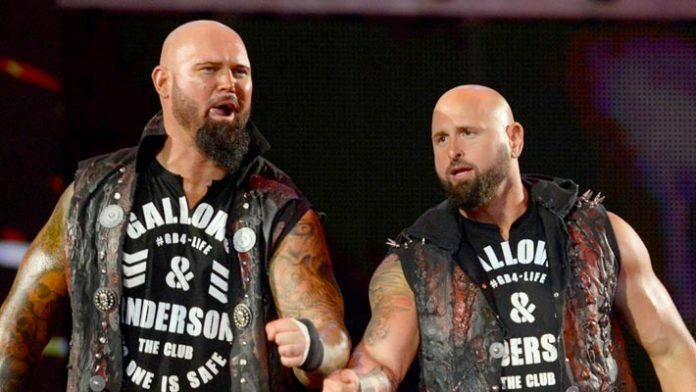 During the interview, Gallows & Anderson each indicated they were happy for their former Bullet Club stablemates who are involved in running AEW.